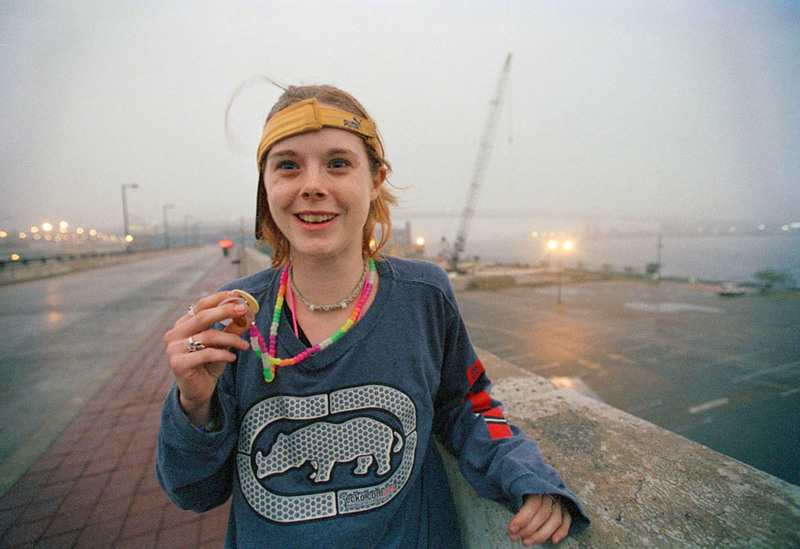 September, 12th, Philadelphia, PA, USA : A young female named Face is on ecstasy at dawn. There has been no official statement that ecstasy causes damage to the brain but mounting evidence suggests that there are subtle changes in the brains chemistry that affect mood, memory and the ability to think. Some doctors believe that the brains chemistry is permanently changed after one ecstasy pill.